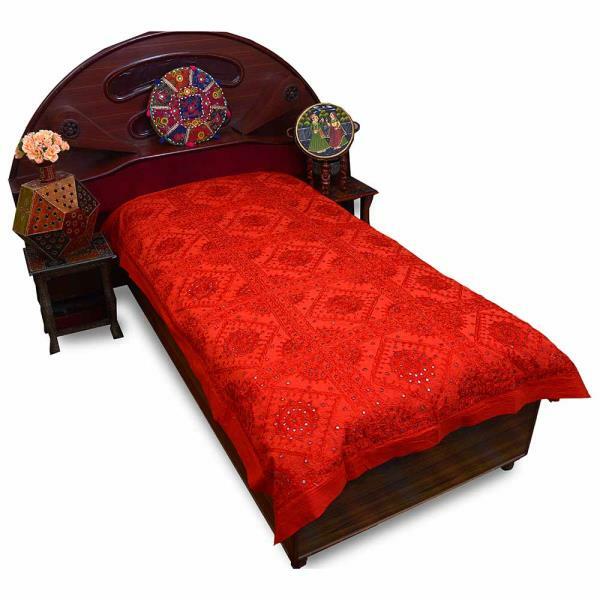 Transform your dull bed space with this vibrant heavy embroidery single bed sheet. The mirror work all over makes the bed sheet very attractive and rich in style. The product presents a good example of traditional craftsmanship of Rajasthan.